An Australian boy with Cerebral Palsy has been taken from his parents after authorities disagreed with their use of cannabis oil. 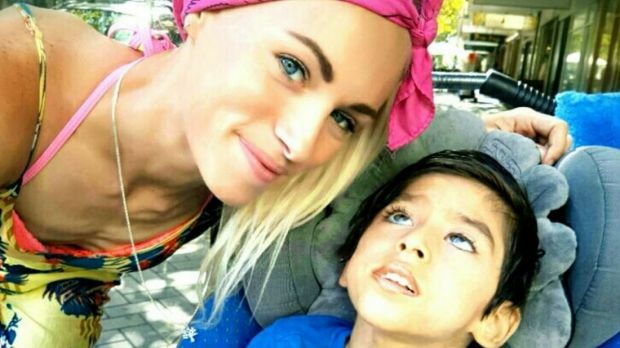 An Australian boy with severe Cerebral Palsy has been taken from his parents after authorities disagreed with their use of cannabis oil that seemed to be helping him. In late April, the parents of four-year-old Chase Walker-Stevens took their son from a hospital in Brisbane, Australia, in an effort to stop young Chase from being treated with pharmaceuticals for his Cerebral Palsy. After a search across two states, his mother, Cini Walker, was found and her soon shortly after, but that’s not where the saga ended for the family. In May, medical professionals told his parents that the young boy was no longer in critical illness due to the consumption of cannabis oil that his parents had chosen to use over the pharmaceuticals. However, Chase was forcibly removed from their care. While his father, Marc Stevens, was locked in a bathroom, the Department of Family and Community Services wrestled the wheelchair-bound child away from his mother. Currently, his parents do not know where he is. It is thought that medical professionals want to put him on heavy medication and food, which is something his parents think will kill him, as he is allergic to both. With certain news outlets picking up on the story, as well as social media playing a big part in the campaign to bring him home (including the hashtags #legalisecannabisoil #keepchaseseizurefree and #istandwithchase being used), Chase is still not with his parents. That has seen an online petition started, which calls on the Australian Prime Minister, Malcolm Turnbull, to return Chase to his family. So far, the petition has just over 80,000 signatures, 60,000 below its target. You can sign it and show your support to Chase and his family by clicking here.